Melbourne is a city full of extraordinary art, experimental food and exceptional nightlife. The CBD has it all, but sometimes you simply need to escape the bustle of the city and take in more of the beauty that Victoria, Australia has to offer. We’ve put together a list of five day trips to take out of Melbourne’s city limits. With so much to do and see, we definitely recommend turning these into weekend trips, as the end of the day may come much quicker than you expect! 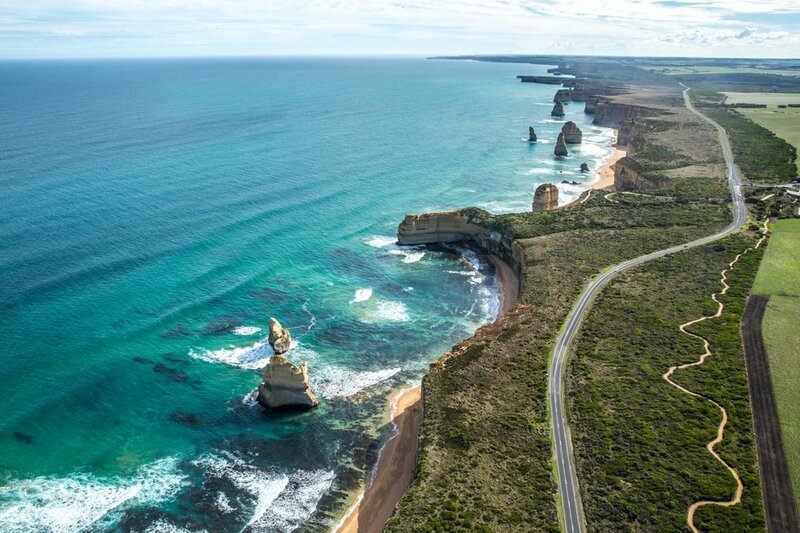 Starting just 1.5 hours outside of Melbourne in Torquay, the Great Ocean Road is a must-see. Begin in surf town Torquay and stop by Bell’s Beach, where the Ripcurl Pro Surf Tournament is held every year. Leaving Torquay, prepare yourself for one of the most scenic drives you’ll take. Coastal towns line up for the next 200 kilometers until just before Warrnambool. This drive winds right past the rainforest of the Great Otway National Park, with waterfalls galore. Get close to animals in their natural habitat – the Koalas in the Wild Tour is great for spotting these fury guys. Make sure you do not end your drive until you see The Twelve Apostles and Loch Ard Gordge! On your way back to the city, treat yourself to a beer and live music at Aireys Pub. Mornington Peninsula is perfect for when you can’t decide what you want – it has beautiful beaches with picturesque bathing boxes, scenic walks and hikes, thermal spas and wineries aplenty. Mount Martha and Mills Beach are among the beaches you should check out if you’re looking to relax in the sun – find the Pillars for a French Riviera vibe and a spot to cliff jump. For those looking for more activity, Arthur’s Seat is the highest viewing point on the peninsula with wildlife treks, and Point Nepean National Park provides an ideal picnic landscape. 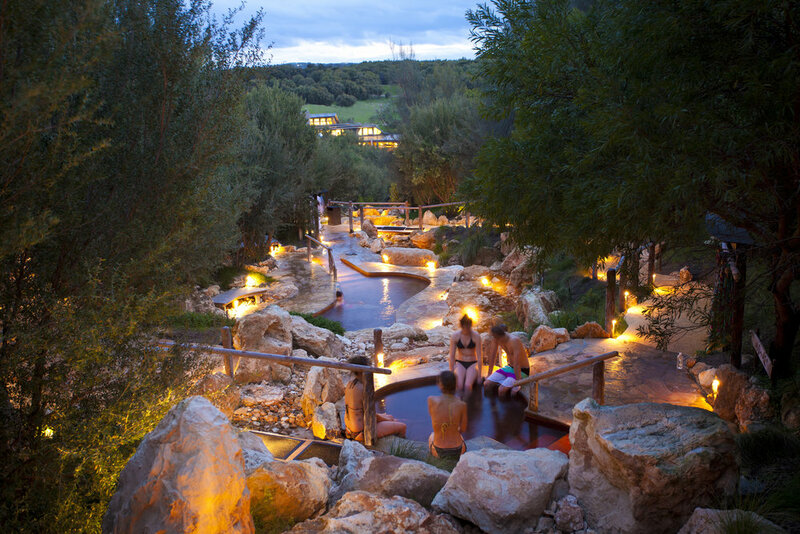 Stop by the Peninsula Hot Springs to relax after! As for the foodies and winos, you’re in luck. The peninsula has more cellar doors than we can keep track of. Find one that fits what you’re looking for here. If we caught your attention at wine and you now need a winery fix, Yarra Valley is what you’re after. The region produces some of Australia’s best cool-climate wines, and their wineries are well-equipped for a full day out. In between your wine tastings, stop by Healesville Sanctuary to encounter kangaroos, koalas, wombats, dingoes, lyrebirds, platypus and Tasmanian devils. If you want to take in more of the valley’s scenic rolling hills covered in vines in more of a bird’s eye perspective, why not view it from a hot air balloon? Global Ballooning Australia runs a sunrise trip that is surely worth the early wakeup call! Start with the Dandenongs’ hidden gem, Alfred Nicholas Gardens, for picturesque wandering - just off Mount Dandenong Tourist Road at Sherbrooke. One of the best views of Melbourne itself is from Mount Dandenong, 633 meters above sea level. While you’re up there, grab a bite to eat at SkyHigh Mt Dandenong – the highest point in the Dandenong Ranges. And just beyond Mount Dandenong, find the small town of Kalorama for an incredible scenic lookout. Get your steps in for the day at Kokoda Memorial Track 1000 Steps, or one of the other various walks at Sherbrooke Forest in Dandenong Ranges National Park. Once you’re done being fit, hop aboard Puffing Billy – a steam train that winds its way from Belgrave through gorgeous scenery to Gembrook. Phillip Island will provide you a full day of activities with a beach-town feel and gorgeous ocean side views. More than the novelty of an island so easily accessible from Melbourne, Phillip Island provides more than just scenic walks and endless beaches. Cafes, restaurants, breweries, wineries, even a chocolate factory dot this island with options for everyone, and the Koala Conservation Centre is a must see, as it may be your only chance to see a koala on the island! Just be sure to make it to Phillip Island Penguin Parade by sunset - one of Australia’s most popular attractions. See the world’s smallest penguin in its natural habitat as they return ashore after a day’s worth of fishing.